Electric bikes, or e-bikes, come with built-in motors allowing them to reach far greater speeds than your average push bike. 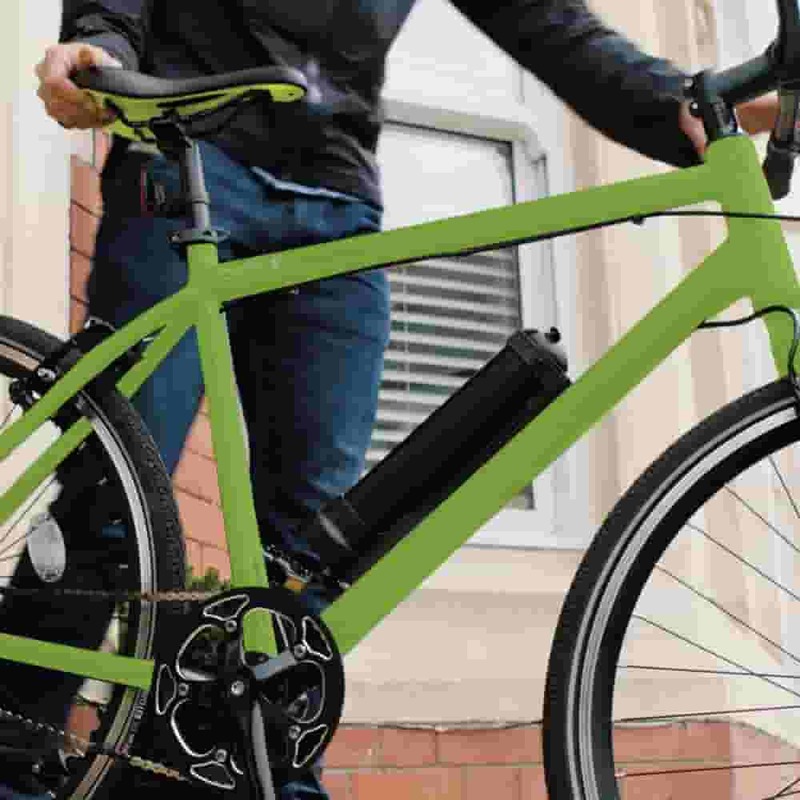 By providing pedal-assisted power through the built-in motor, many e-bikes are capable of reaching great speeds. However, due to government rules, the power of electric bikes is often regulated and their capabilities limited. So, is there an age limit for riding an e-bike? Do you need a licence? What are the power and speed restrictions? Where are you permitted to ride it? These are all valid questions which you will need to consider before venturing out in public on your e-bike. At present, the UK and Europe share a set of rules put in place to regulate e-bikes. Although these may be subject to change as a result of Brexit negotiations, they are presently some of the most restrictive rules when compared to other countries such as Canada. This is why it is so important to study the regulations before embarking on the roads on an e-bike. Here is a breakdown of everything you need to know in order to ensure you are safe and within the law when riding your e-bike. 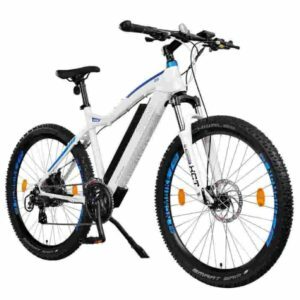 What Counts as an E-Bike? Known by law as an ‘electrically assisted pedal cycle’, or EAPC, an e-bike must by definition have pedals which drive it along. 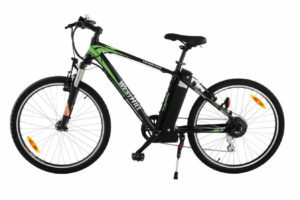 In addition, either the power output or the manufacturer of the bike must be displayed on the body of the bike itself. As well as this, it must have either the battery’s voltage or the maximum speed of the bike on display. An EAPC’s motor must have a maximum output of 250 watts. The motor should not be able to assist the rider when the bike is travelling any faster than 15.5 miles per hour. Many e-bikes come with a built-in function to ensure that the motor cuts out when the maximum speed is met. Three-wheeled motorised bikes, or tricycles, can also classify as an EAPC if they meet these standards. An e-bike must tick each of these boxes if it is to qualify for the rules laid out under electric bike laws. But what happens if your bike exceeds the limitations laid out above? What If It Doesn’t Meet EAPC Standards? If your e-bike does not meet the requirements for an EAPC laid out above, then it will be classified differently. Anything with a higher specification than this will be classed as a moped or motorcycle rather than an e-bike. 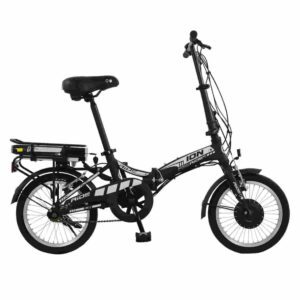 If your bike can be propelled without using the pedals, for example e-bikes with throttle functions, then it will fall under the category of mopeds and motorcycles, rather than EAPC bikes. Likewise, if it has a maximum output of over 250 watts, then it will not qualify as an EAPC. If the motor is set to propel the rider even when the bike is exceeding 15.5 miles per hour, it will equally not count as an e-bike by law. 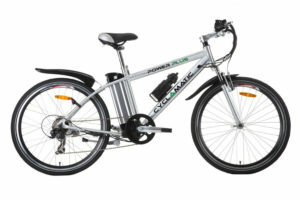 To legally venture out on these types of e-bikes, you are required to hold a driving licence. This means it will need to be registered and taxed in all parts of the UK. You are also required to wear a helmet when driving, as with any other type of moped or motorcycle. These bikes must also be type-approved by the government, although this is usually taken care of by the manufacturer before they market the bike. You can see whether your bike has been type-approved as it will have a plate displaying its approval number. Who is Permitted to Ride an E-Bike? If you live in Scotland, England or Wales, you must be aged 14 or over to ride an e-bike. In these countries there are no rules that require an e-bike to be taxed, registered or insured. In addition, you do not require a licence to ride an e-bike. Here, you will require a moped licence in order to ride an e-bike. On top of this, the bike must be registered, taxed and insured. Where Can You Ride an E-Bike? If your e-bike qualifies as an EAPC according to the standards laid out above, then it is classified in the same way as a normal pedal bike. You are therefore allowed to ride it anywhere that a normal bike is permitted, such as cycle paths and bike lanes. However, if it does not fit the requirements of an EAPC classification, this is not the case. For high powered e-bikes which exceed the limits of an EAPC, these are not generally permitted for on-road use or use on normal cycle paths. In conclusion, when selecting your e-bike, speed should not necessarily be the selling factor. If you’re planning on utilising your e-bike on the roads, then be sure to check that it fits the regulations before buying. If you’re considering buying a bike which exceeds the UK limitations for an EAPC bike, then be aware that you will be required to have a licence and all of the relevant paperwork. Depending on your local regulations, you may only be permitted to use it on private land. Now that you’re up to speed with the legal restrictions pertaining to e-bikes, you can venture out safe in the knowledge that you’re on the right side of the law.